Swedish authorities have accused Russian naval ships of interfering with the cable-laying work between Sweden and Lithuania. 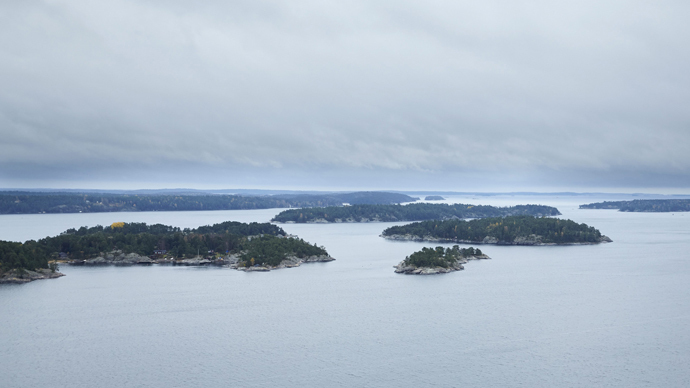 It comes a few months after Sweden unsuccessfully hunted for Russian submarines in the Stockholm archipelago. Sweden insists Russian war vessels have interfered with the cable-laying four times over the past couple of months, the Local reported. "Sweden has discussed the matter with the Russian authorities," Pezhman Fivrin, spokesperson for Foreign Minister Margot Wallström, told the Aftobladet newspaper. Stockholm would discuss the accusations again on Monday, Wallström said. The Lithuanian Foreign Ministry also issued a statement, alleging Russian “attempts to interfere” with the construction of the 400-kilometer Nordbalt cable, which is to run from Klaipeda in Lithuania to Nybro on Sweden's east coast. "Russian authorities have never asked Lithuanian institutions or received any prior authorization for such activities in the exclusive economic zone of Lithuania," it concluded. It comes just a few weeks after Sweden confirmed the alleged Russian submarine in the country’s territorial waters was a civilian workboat. Last October, Sweden sent 200 troops, helicopters and ships on a weeklong search for a suspected Russian sub in the Stockholm archipelago. In April, a senior navy official had to admit the vessel the Swedish Navy had been searching for was in fact a workboat. They then changed the wording from “probable submarine” to “non-submarine” when referring to the reconnaissance mission. The Swedish Navy’s efforts to trace elusive foreign activity cost the country €2.2 million ($2.8 million).